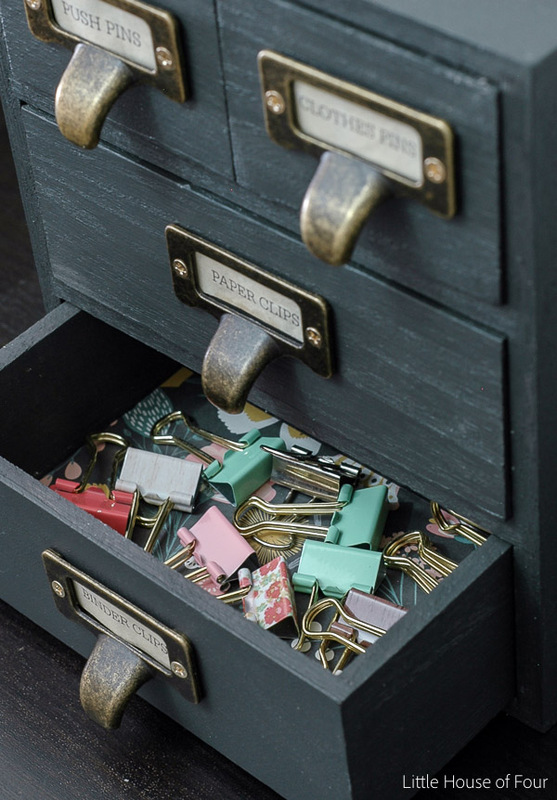 In an effort to keep up with my plan to organize my office, I'm sharing another inexpensive, yet stylish organizing project. If you have ever walked the aisles of Michael's you know they have an entire section of unfinished wood projects. 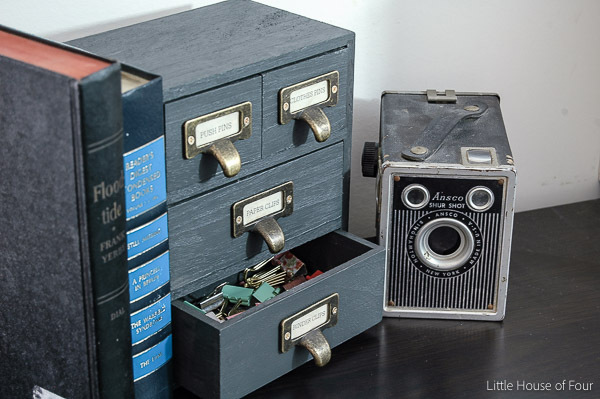 Storage boxes, plaques, jewelry boxes, numbers, letters, you name it, they have it. I mean really, have you ever walked in and out of Michaels empty handed? It's just as bad as going to Target thinking you'll walk out with only the handful of essential items you went in for. Yeah, that never happens. 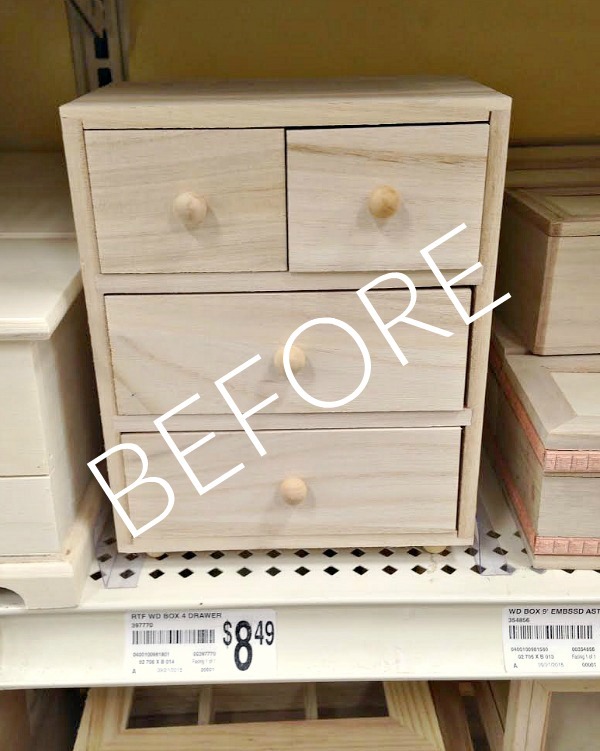 On my latest lunch break Michaels excursion I picked up a 4 drawer wood box (using a 40% off coupon!) and another pack of my favorite metal label holders. The box itself wasn't bad looking, but it had a jewelry box vibe that I wasn't going for. 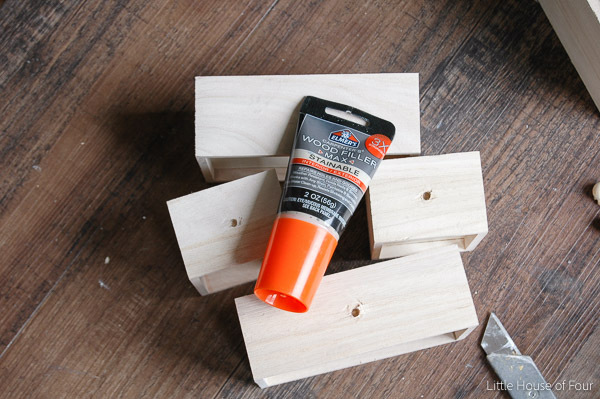 I simply used a box cuter to loosen the glue around the wood pulls and feet then banged them out with a hammer. 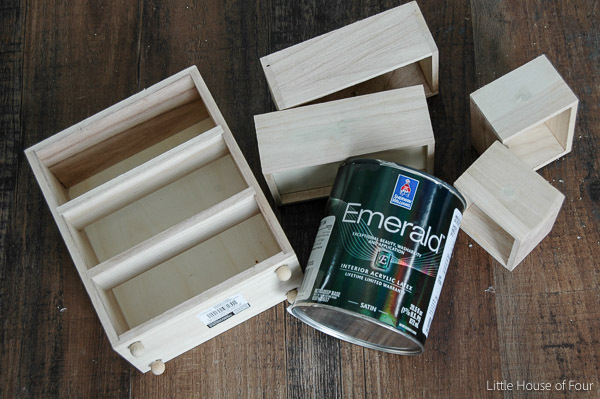 I filled the holes with Elmer's wood filler then applied two coats of my favorite SW Iron Ore paint. 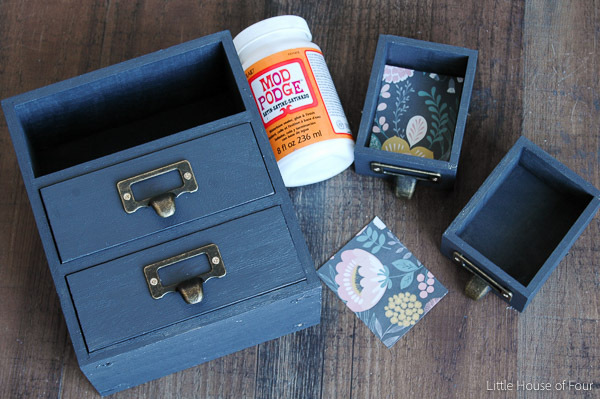 The original wood knobs got replaced with brass pulls and pretty scrapbook paper got added to the inside of each drawer. For just a few dollars I now have yet another space to tuck away more office and craft supplies. 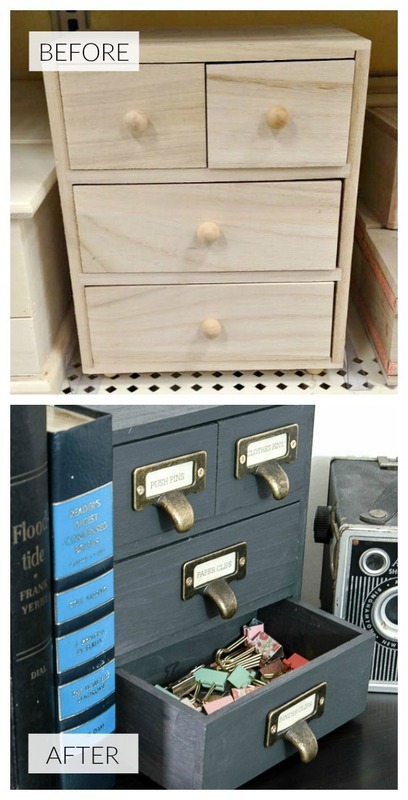 Sharing at Thrifty Decor Chick. Soo cute. I love it. 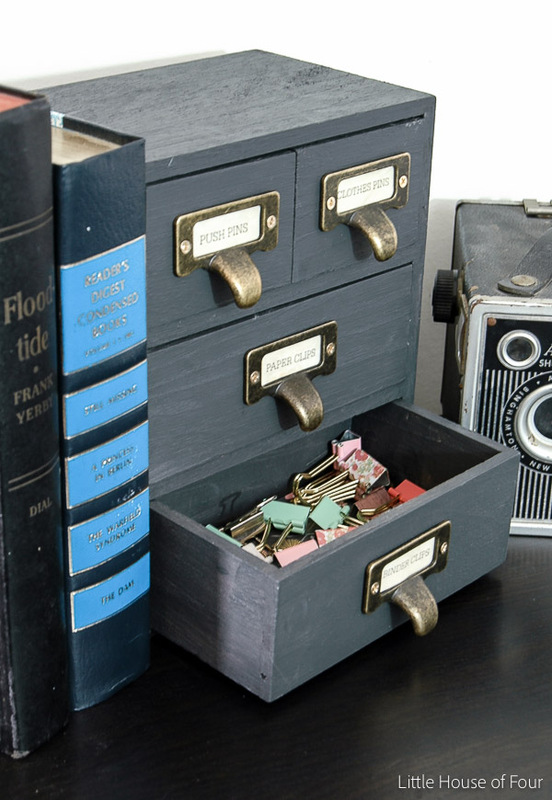 I am not a very crafty person so I love when you post things like this because I would look at that wood drawer piece and not be able to come close to making it into that cute little organizer. So thank you for these inspiring ideas, they do help! Holy Cow...couldn't believe that it was wood when I clicked through after seeing the wee picture on a link party. 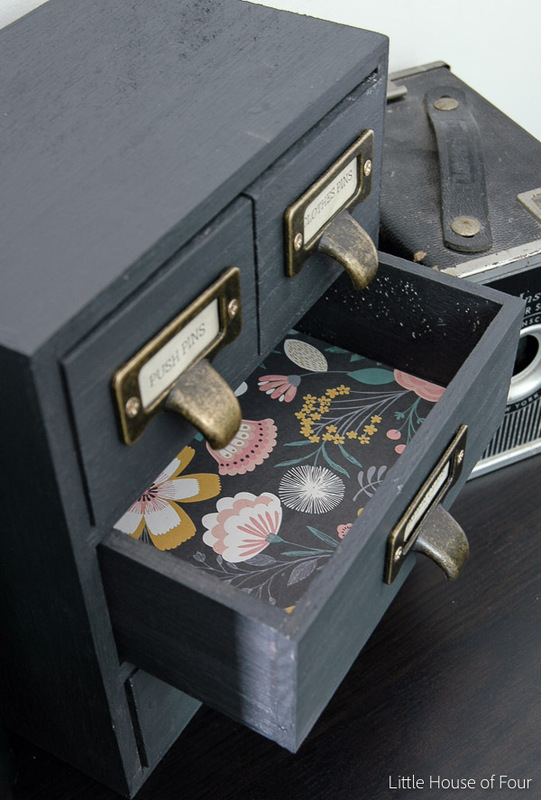 You did a fantastic job changing the whole character of the box...and is that a bit of Rifle paper I see in those drawers? If not its a great knockoff as well. 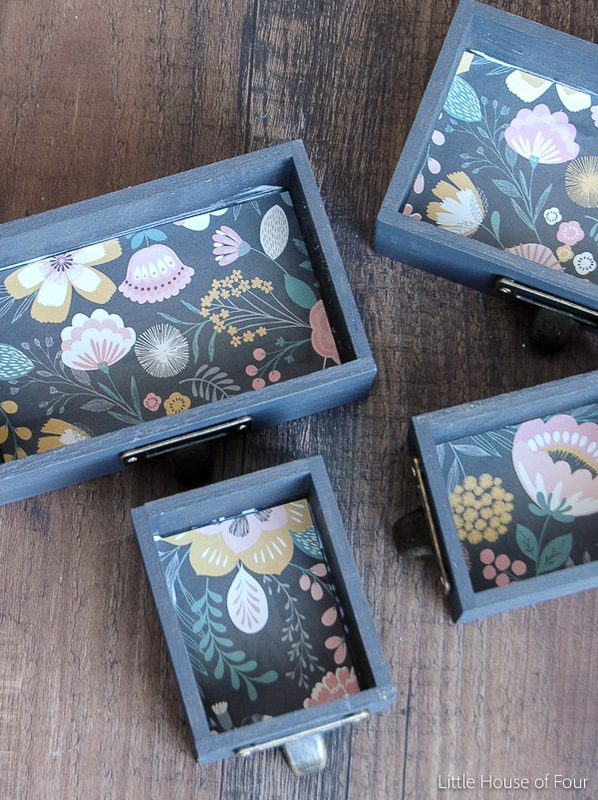 I crush on Rifle paper and I'm crushing on your box. I can't believe those metal label holders, those are AWESOME! 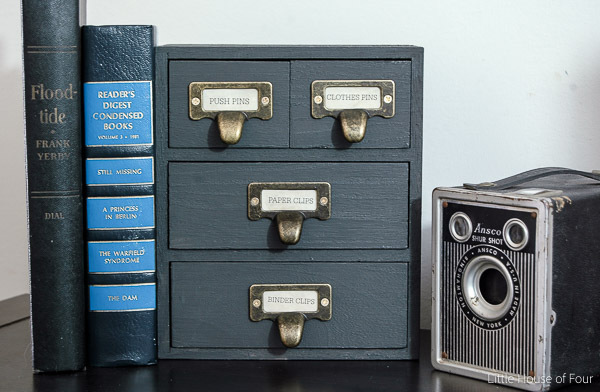 My Aunt has a vintage box like this to hold her recipes in her kitchen, I have always wanted one like it. Now I know how to make one :) Thanks for sharing at the Pretty Project Party! I love this transformation! 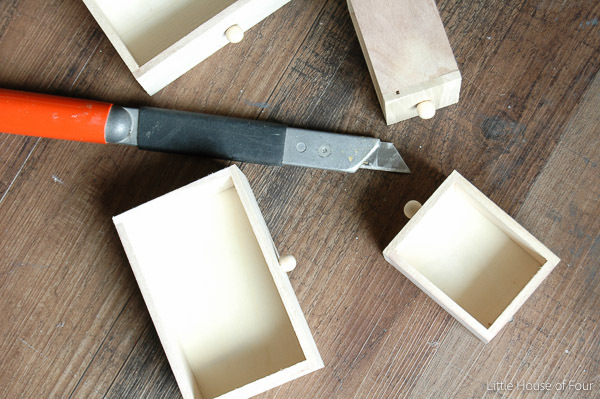 It's hard to believe that it started off as a plain wooden box. SO stinking cute!! 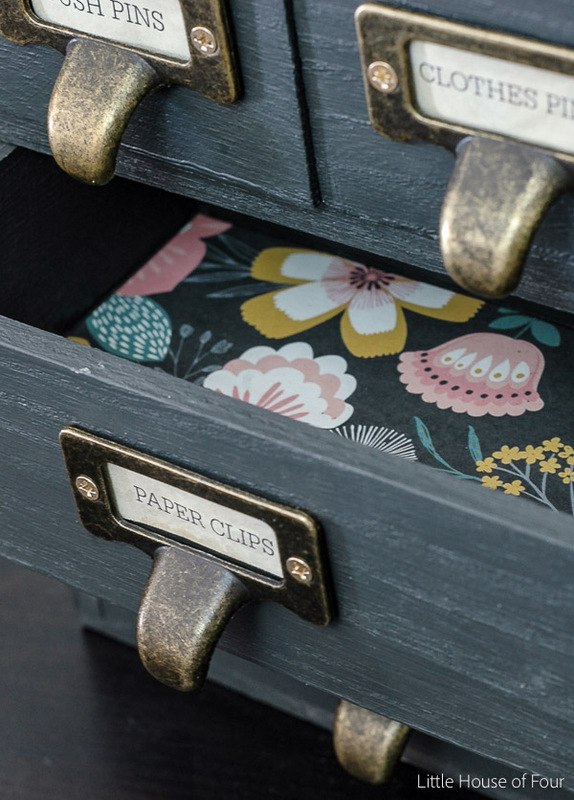 Everything about this -- including that pretty paper liner -- is fantastic!